In addition to our preview, we had a chance to hear from Rachael Yamagata in advance of her show at the Union Stage on February 25th. She paused long enough on her current tour to reply to a few choice questions via email. A DC Journey: I saw your show at the 9:30 Club in 2015, and you said to us: “The new record (Tightrope Walker) is super close. It’s a positive record, so you’re going to think, ‘What happened to her? She got happy. '” Why so happy making this past record…and what can fans expect on this tour? 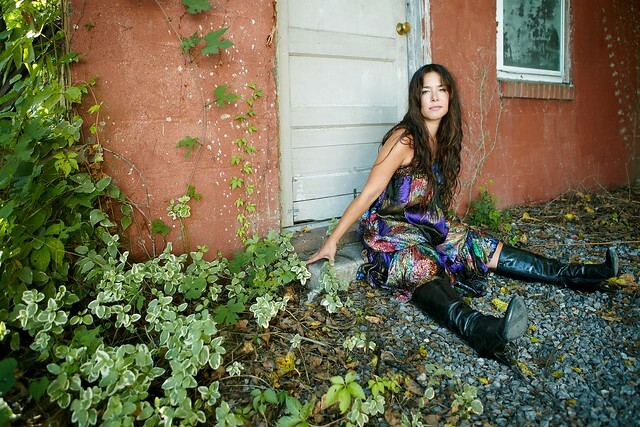 Rachael Yamagata: Perspective and time really work to reorganize heartache. I’m always searching for new ways through the darkness and how to articulate a sense of hope. In the past, that lightness – the release came from diving into the specific pain and feeling it so specifically that afterward it felt like a cleansing of sorts. Tightrope Walker gets more lyrically optimistic in a way I haven’t expressed before. As I get older, romantic relationships aren’t the most heartbreaking things anymore. Life is short and precious and we have to treasure the time we have. ADJ: Growing up in this area, what’s the thing you like most about DC (the city)? Rachael: It’s a really beautiful city – I love the brick and the colors and styles of the houses, cobblestone streets, the Potomac River running through these historical monument sites and the greenery. DC has something romantic about it to me. Somehow it always makes me think of fall. ADJ: It’s exciting that you’re playing at the new Union Stage down at The Wharf. How do you think DC rates as a music city compared to other places you’ve played? Rachael: I’m excited to play this venue, yes. DC is always a staple on a tour and older venues like the 9:30 Club have been like a rite of passage for bands. It’s hard to rate any city in a ‘music city’ respect though (especially as I write this from Nashville). ADJ: Has anyone ever shouted something to you during a show that was especially memorable? Rachael: ‘Take your shirt off.’ In Cleveland. Opening for Ryan Adams. That took me a minute to digest. ADJ: If someone were to look at your ‘most recent played list’ would you be proud or embarrassed by the songs they’d see? Rachael: Music is all about personal taste. ADJ: What was the last song you couldn’t stop playing on repeat? You should know the next steps by now, listen to Tightrope Walker and then head over to the new Union Stage to see Rachael’s show. Tickets are $25. Doors open at Union Stage at 6:30pm. Show at 7:30pm. Openers are Tracy Bonham and Jordan Sokel.